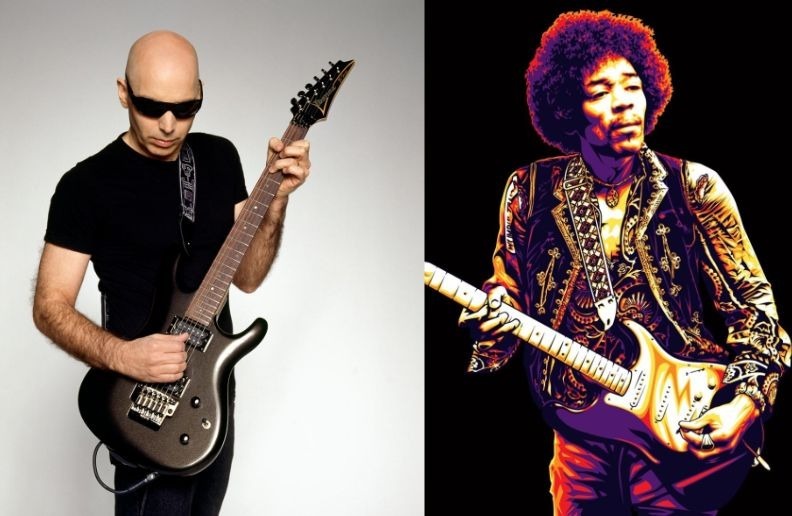 In an interview with Ultimate Classic Rock, the guitarist Joe Satriani talked about how hard it is to play Jimi Hendrix songs. “You start playing a song and you realize, ‘This is the way Jimi sounded – I don’t sound like Jimi!’ But you still have to play the song. So I think everyone is always trying to pay the proper homage to Jimi and the sound. “They want to give the audience the right sound, but at the same time, they can’t help but be themselves. That’s why I mentioned the whole thing about what Jimi was able to play live. “Because if you spend a day just listening to live recordings of Jimi Hendrix, you realize that it was almost like a different Jimi Hendrix than the one that was on ‘Axis: Bold as Love’ or ‘Electric Ladyland.’ Those were artistic statements in the recording studio. “But when you listen to ‘Live at the Hollywood Bowl’ or Woodstock or something, you realize, this is something entirely different. So his attitude was, I’m live now, so I’m just going totally live and this is all we’ve got to work with. In the studio, he would go as far as he could. “That’s the hardest thing: You go to play a song like ‘Third Stone From the Sun’ or ‘If 6 Was 9’ and I find myself having to somehow encapsulate a few minutes of feedback and backward guitars and backward flutes and whistles and all kinds of funny things that they did back then, and I have to kind of represent it in real time in 2019 and then quickly get onto the next bit. “I have found that brevity is important – just being concise, I think, is better. Because when you’re starting ‘Voodoo Child,’ if you’ve got the right wah-wah guitar tone, that’s all you kind of need to get it off.